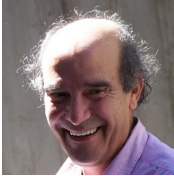 Dr. Luiz DeRose is a Senior Principal Engineer and the Programming Environments Director at Cray Inc, where he is responsible for the programming environment strategy for all Cray systems. Before joining Cray in 2004, he was a research staff member and the Tools Group Leader at the Advanced Computing Technology Center at IBM Research. Dr. DeRose had a Ph.D. in Computer Science from the University of Illinois at Urbana-Champaign. With more than 20 years of high performance computing experience and a deep knowledge of its programming environments, he has published more than 50 peer-review articles in scientific journals, conferences, and book chapters, primarily on the topics of compilers and tools for high performance computing. Dr. DeRose participated in the definition and creation of the OpenACC standard for accelerators high level programming. He is the Organizing and Program Committee co-chair of the 10th International Workshop on OpenMP (IWOMP) in 2014, was the Global Chair for the Multicore and Manycore Programming topic in Euro-Par 2013, and was the Program Committee co-Chair at the 21st International Conference on Parallel Architecture and Compilation Techniques PACT-2012. Researcher and teacher with more than 20 years of experience on distributed systems. My current research at Universidad de los Andes focus on HPC, from massive parallel systems to current cloud computing technologies, including cluster and grid computing. Principal Investigator of different research projects and technical consultant on these areas. Author of many publications on books, journals and national and international conferences. University of Chicago / Argonne National Laboratory Computation Institute. 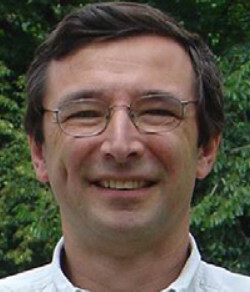 Michael Wilde is a software architect in the Mathematics Computer Science Division, Argonne National Laboratory, and a fellow at the University of Chicago / Argonne National Laboratory Computation Institute. His research focus is the application of parallel scripting as an enabler to enhance scientific productivity through the easier application of parallel computing systems. His group is an academic and research group that has been involved in the last fifteen years in applying high performance computing to solve problems in life sciences. The group provides a multidisciplinary top level scientific environment embracing more than 12 (30 at department level) young researchers and technical support personnel with longexperience of interfacing with biologists and medical staffs. The group is competent in to bridge data, medicaland biological expertises, and it have also in-house computer support and staff trained to link between teams specialised in informatics and in biomedical sciences. 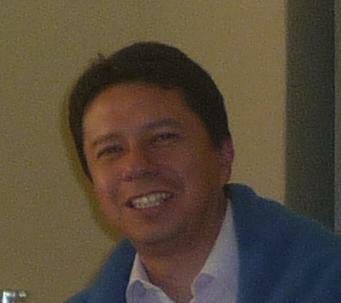 As reference, the group leaded by Dr. Trelles implements the service and data integration platform of the National Institute of Bioinformatics in Spain, and also acts as coordinator of the “High Performance, Cloud and Symbolic Computing in Big-Data problems applied to mathematical modelling of Comparative Genomics” EU project.